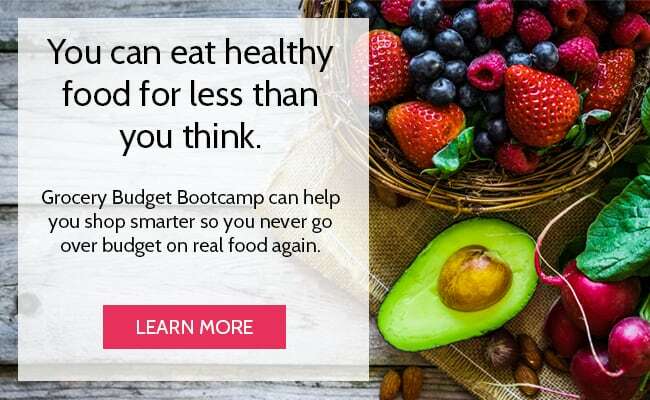 I’ve spent the past several weeks trying to “master” the basics of the Instant Pot… Instant Pot brown rice, Instant Pot chicken stock, Instant Pot beans… and along the way, I learned how you can use the Instant Pot to save money! Finally, I think I’m ready to move on to intermediate recipes. For me, “intermediate” is where you’re combining two or more DIFFERENT components into one dish. Using the tips from my how to make slow cooker recipes in the Instant Pot article, I chose to make Instant Pot beef and broccoli – and it’s so good! As I explained in this article, there’s almost an art to making one-pot meals in the Instant Cooker. True, there are a few things you can toss in there and have it come out perfectly. But there are far more things you can’t do that to, otherwise you’ll end up with half of it being raw and the other half being overcooked. The biggest key to making an Instant Pot “one pot” meal is understanding the components. 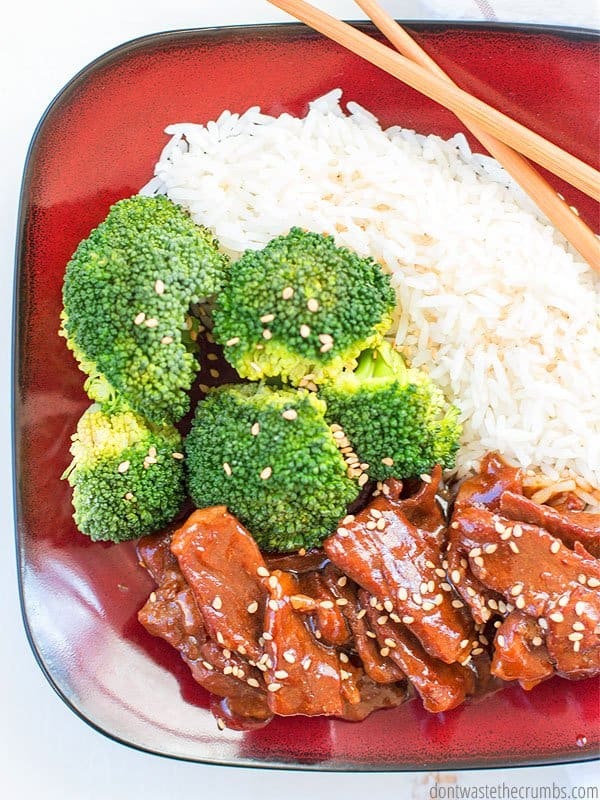 Let use my Instant Pot beef and broccoli as an example. All three of these things require three different cook times. Now, you CAN cook pot-in-pot if you have these awesome stackable steamer pans, but if you don’t have those (like me!) then you’re in good company. 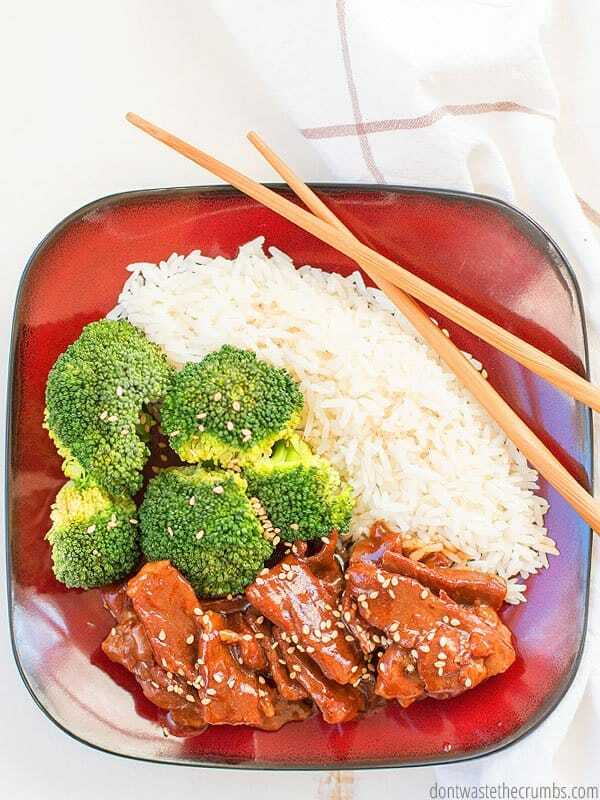 I’ll show you how to make this Instant Pot beef and broccoli with just the one main inner cooking pot and I’ll give you lots of options so you can still get dinner on the table fast. One of THE BEST ways to save money and save time is by cooking in bulk. 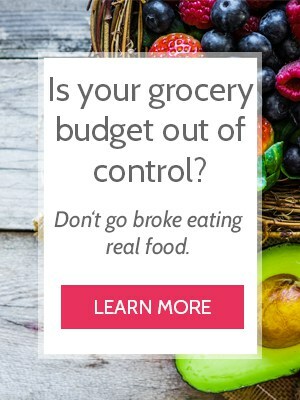 Learn how that works in my FREE course, 5 Days to Real Food Fast! Anytime I make rice, I always make at least double the recipe and sometimes triple. I freeze extras in 4 cup portions and that gives us enough rice for another meal (which usually includes a leftover lunch or two from that as well). If you want to make fresh rice, I highly recommend my Instant Pot brown rice recipe. It is SPOT ON and absolutely delicious. Alternatively, you can make white rice using the recipe that comes with the Instant Pot, or you can make your choice of rice using your choice of cooking method. If you choose to use the Instant Pot to make the rice, this needs to happen first. Like the rice, you have a couple options for how you want to cook it. 1. You can cook the broccoli in the Instant Pot separately from the meat. To do this, place your broccoli florets in a steamer basket and add 1 cup of water. Press “pressure cook” or “manual” and set the time for 0 min for a more firmer steamed broccoli, or 1 min for a softer steamed broccoli. When the timer goes off, use the quick pressure release method and set the broccoli aside. This method is great for those who don’t like it when their foods touch, or if you want to have leftover broccoli available for a different meal (which would be a VERY WISE decision!). 2. You can cook the broccoli in the Instant Pot as soon as the meat is done. To do this, follow the recipe as written for the meat. When the timer goes off, add the broccoli florets directly on top of the meat. Place the lid back on and close it. Let the broccoli stand for 3-5 minutes and the residual heat from the meat should gently steam and cook the broccoli. If you want this to be a bit quicker, you can press “pressure cook” or “manual” and set the time for 0 min for a more firmer steamed broccoli, or 1 min for a softer steamed broccoli. 3. You can cook the broccoli using another method. If you’re picky about the texture of your broccoli, this is going to be your best bet. Steam the broccoli however you prefer – whether that’s on the stove top or in the microwave or any other method. We like pan seared broccoli and oven roasted broccoli. Start the broccoli after the meat is in the Instant Pot and you’ll be ready for dinner. The meat is the heart of this recipe, since it requires that it be cooked in the Instant Pot. I tested this recipe using Kansas City strip steak from Zaycon because that’s what I had on hand, but you can really make this using any cut of beef you have (other than ground). Update: Zaycon has shut down, so now I purchase grass-fed beef from Butcher Box. They have excellent meats! 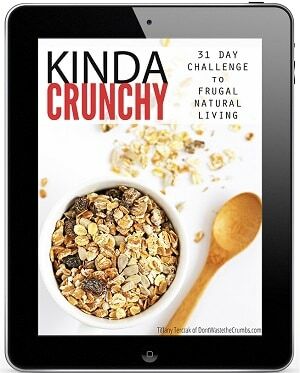 Check out this exclusive offer for Crumbs readers! 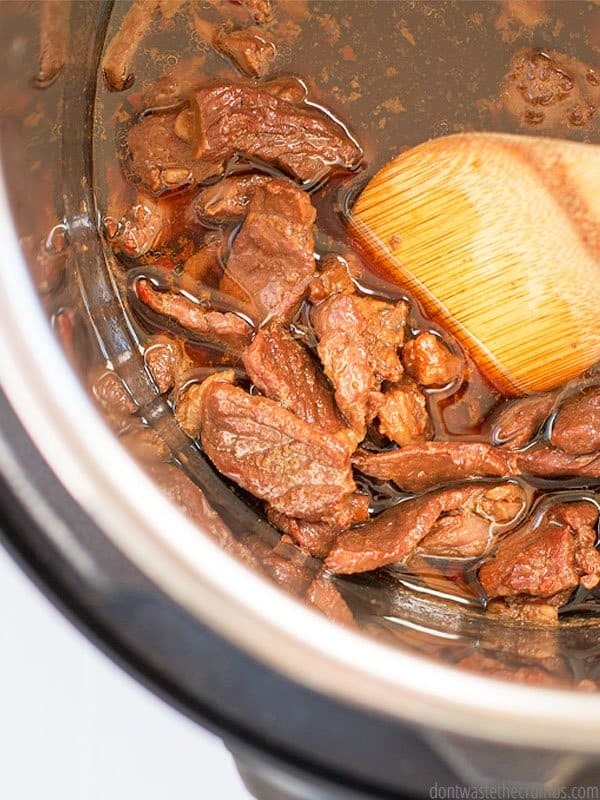 One of the beauties of the Instant Pot is that it can make even the cheapest cuts of meat taste good (that’s one way the Instant Pot can save you money!). The recipe is fairly straight-forward, but I will caution you on one ingredient: beef stock. I tested this recipe using Better Than Bullion and it came out VERY salty. So salty that I had a hard time eating leftovers! Make this using regular beef stock, and use unsalted if at all possible. There’s salt in the liquid aminos (or soy sauce, if you prefer) and you can always add salt at the table if necessary. Once you add it though, you can’t take it back out! If you want to make everything in the Instant Pot, you’re going to have to start dinner early. Brown rice takes 22 minutes to cook, but that doesn’t include the coming to pressure. Neither the broccoli nor the beef take long either, but again, the cook time doesn’t include the time it takes for the Instant Pot to come to pressure. If you’re short on time for dinner, I recommend making both the rice and the broccoli on the stove and the meat in the Instant Pot. Then next time, make a massive batch of rice and freeze it so you only have to re-heat it for a quick dinner! I have the 8-quart DUO 7-in-1 Instant Pot. No adjustments need to be made to this recipe to make it in a 6-quart Instant Pot. 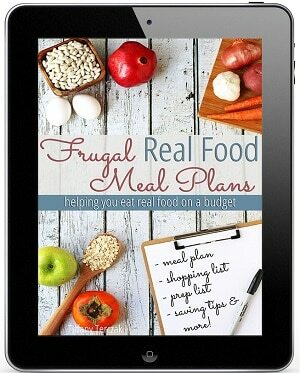 You can also double the recipe, without having to make any changes to the cooking instructions. I wouldn’t recommend halving the recipe because you won’t have enough liquid to properly operate the Instant Pot. If you don’t need to feed a family of 4 with leftovers, make it as-written and freeze it for a quick meal later! Decide how you want to cook the broccoli. If you want to cook it first, place your broccoli florets in a steamer basket and add 1 cup of water. If you want to cook the broccoli last, continue with the recipe. 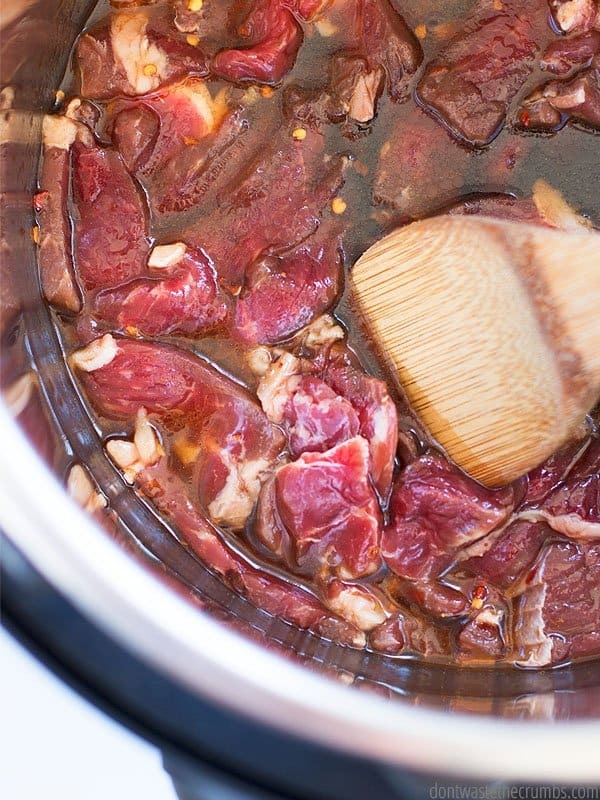 Add the meat to the Instant Pot. Add the onion, garlic, stock, liquid aminos, honey, sesame oil and red pepper. Stir to combine well. Close the lid and make sure the pressure valve is set to "sealing." Press "pressure cook" or manual and cook on high pressure for 12 minutes. When the timer goes off, use the quick pressure release method by turning the valve from "sealing" to "venting." Make sure your face and hands are not above the valve when you do this. If you decided to cook the broccoli after, add the broccoli florets directly on top of the meat. If you don't want to cook the broccoli in the Instant Pot, steam as desired. Meanwhile, mix the corn starch and water in a mug until the corn starch is completely dissolved. When the beef is done, remove the lid and press the "saute" button. Add the slurry to the pot and stir constantly until dissolved. The sauce will thicken fairly quickly. When it's thick, turn the Instant Pot off. 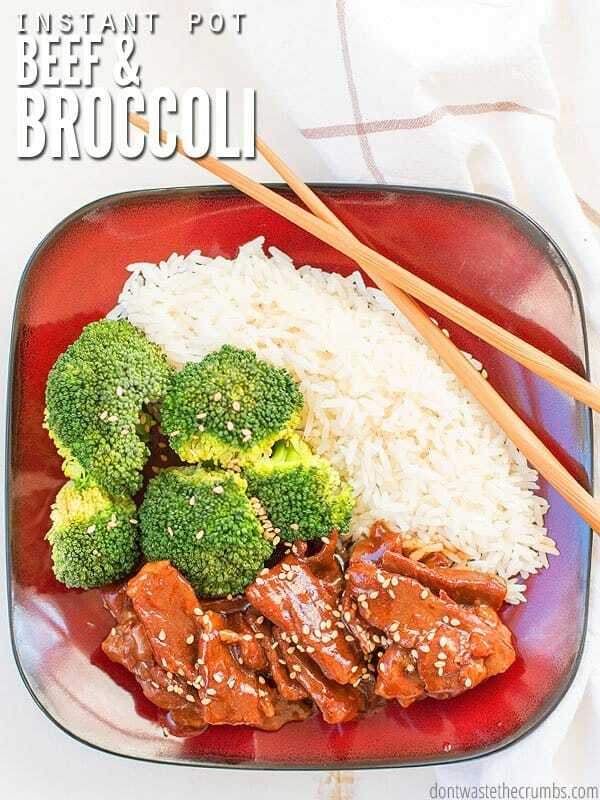 Serve beef and broccoli over rice, or as desired. 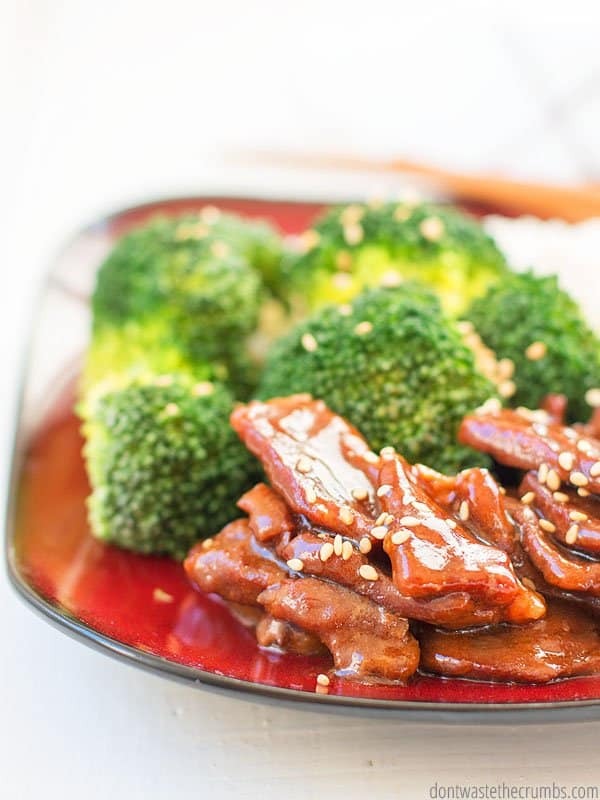 What’s your favorite Chinese take-out recipe? Have you ever tried to make it at home? Leave your ideas in the comment section below? Thanks for the recipe – got a thumbs up here! So, the cornstarch is to thicken the beef sauce/liquid? Yes! And now that I think of it, I didn’t put that part in, LOL – fixing that now! Thanks, do you need to remove the beef before adding the cornstarch slurry? Be nice if you could include a low carb version for all of us who are watching are carbs! Hey Barbara! Feel free to modify to fit your dietary needs! Love this comment on so many levels! Why do people think someone has to do it for them? 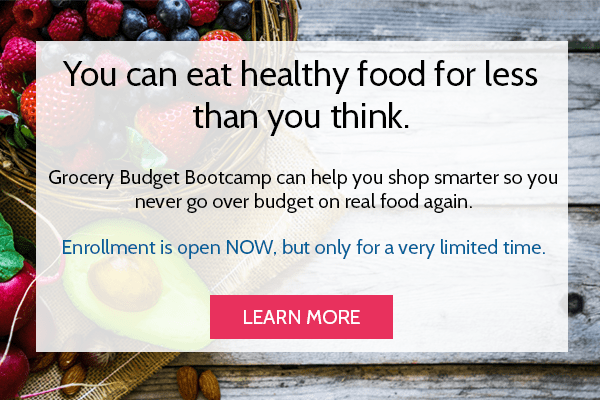 If you are low carb, you know what you can have! geez! Do you have a favorite, budget-friendly brand of aminos? Thank you for the recipe! This is the best deal on Amazon: https://amzn.to/2q2vAkJ, but I’d check Sprouts, Trader Joe’s and Whole Foods if you have them locally. My Kroger has it, but my Walmart doesn’t. Aim for $3-4 if you can! Do you suggest any modifications to the ingredients if I cook it in a slow cooker on low for 8 hours? Looks delish!! Hi Toby! I’d got with a roast instead of steak, and you might want to watch the liquid levels (typically slow cooker recipes have more liquid). Steam the broccoli separately! 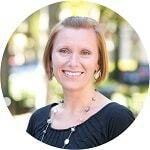 So, we really do not need 3 cups of water in the 8 qt Instant Pot? Not always. You definitely need one cup though!